Taking only exclusive-use bookings, the Hall has large public rooms as well as very generous bedrooms, making it a great venue for both family gatherings and corporate events alike. Owner Guy Dewdney purchased the Hall in 2016. 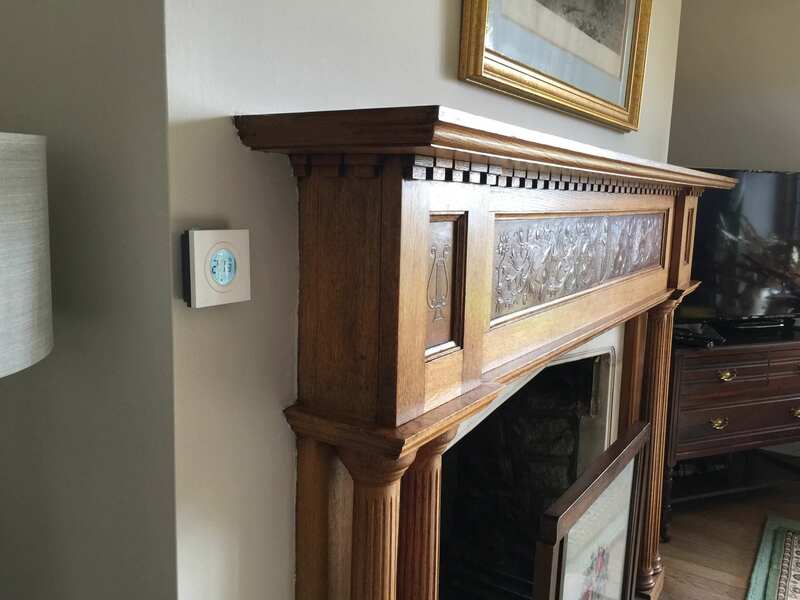 He installed the Genius Hub in Spring 2017 to reduce the risk of guests leaving the heating on high all week, resulting in not only excessive costs but also the likelihood of unexpectedly running out of oil. Bossington Hall actively researched their issue of lack of control and discussed it online with other owners of large homes. They found that their property was too large for the majority of domestic systems on the market, and yet they did not use enough fuel to warrant the expense of a large Building Energy Management System (BEMS). They found that Genius Hub was recommended on forums including Money Savings Expert. Genius Hub is unique – making it a market leader in what it can achieve. The system is designed to provide a solution even in the most complex buildings. What were the main considerations before the purchase? There were a number of factors considered. Bossington Hall wanted to make sure that communication and support would be clear and concise. They found from the outset that Genius Hub have highly trained support staff who understand the system. Guy also said, “A UK first response team was a real plus”. Genius Hub has been around for a long time and has established a good solid reputation. The knowledgeable staff, with a good understanding of the Genius Hub system, underpins this reputation. Guy told us that there are other companies which are either new to the market or do not offer the same level of expertise. He specified the system knowing that Genius Hub works well in buildings like his. How much has Genius Hub cut their bills? Having the historical data recorded means that Bossington Hall can evaluate the effectiveness of the Genius Hub at any given time. At this stage, they report comfortable savings of 20% off their annual bill. However, Guy said, “More importantly, it’s not only the savings, but how guests comment about how warm the Hall is now, which was never the case before”. He believes he could be saving more, but this was as much about giving extra comfort to guests, as saving energy. Have they benefited in any other way? Bossington Hall enjoy receiving positive comments from guests about how nice it is to have individual controls in their rooms. Guy told us he was concerned that guests would play with the controls and he initially watched the system “like a hawk” to see if the temperatures needed adjusting. He can now see if the system is boosted by a guest but has discovered that, in the main, it is left alone. This suggests that he is getting the room temperatures near enough right from the start. The magnificent country house is totally surrounded by National Trust land, and is elevated above the beautiful Vale of Porlock.